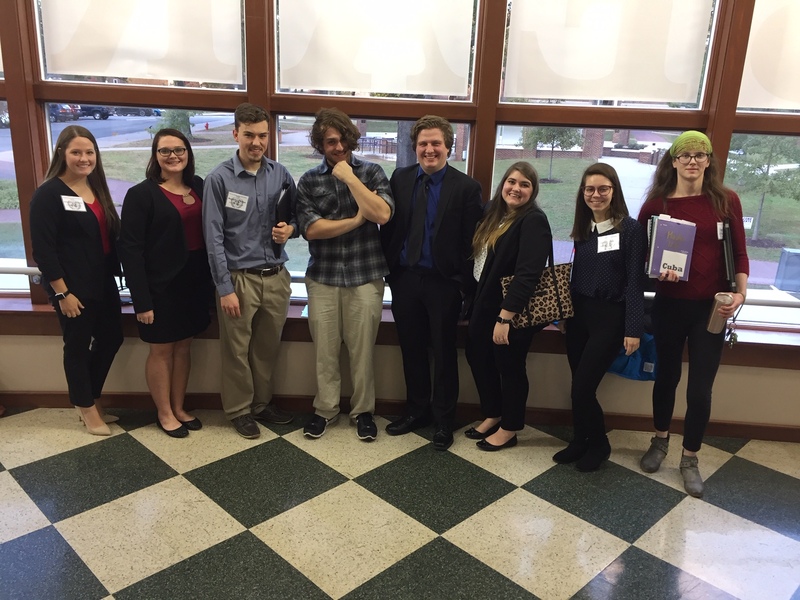 Earlier this month, eight students from Lyon’s Model United Nations (UN) group attended the eighth annual Arkansas Collegiate Model United Nations (ACMUN) conference at the University of Central Arkansas in Conway. Serving on four different committees, the students represented the United States, the Republic of Korea, and Cuba. They finished the day with David Lewis, ’20, winning the outstanding delegate award. Model UN conferences allow students to role play as delegates to the United Nations and simulate UN committees. Students learn about real politics for the countries they represent and practice cooperating with other nations to resolve international conflicts. This was the group’s first time to attend the conference, and Model UN faculty advisor Dr. Jaeyun Sung was pleased with the results. According to Sung, the next step will mean more conference opportunities in the future. The team will now commit to attend the ACMUN every year and plan new tactics for the competition.